Plastic Soup News: Will Consumers Pay More for Recycled Ocean Plastic? Will Consumers Pay More for Recycled Ocean Plastic? In a move that could increase consumer awareness about marine plastic pollution — and thus, consumer willingness to pay more for products made from recycled marine plastic — recycling company TerraCycle plans to expand its beach cleanup programs to collect up to 1,000 tons of plastic waste globally. Earlier this year TerraCycle, in partnership with Procter & Gamble and Suez, developed the world’s first recyclable shampoo bottle made from up to 25 percent recycled beach plastic. The Head & Shoulders shampoo bottle will debut in France this summer. TerraCycle told Plastics News that the partners have major expansion plans. The initial beach cleanups collected 15 tons of material in Europe; Brett Stevens, vice president of material sales and procurement at the recycling company, told the publication that the company plans to expand collection efforts to North America and Asia. TerraCycle’s statements come as other leading companies are turning their attention to plastic waste ending up in oceans and other waterways. Last month Dell said it has developed the technology industry’s first packaging trays made with 25 percent recycled ocean plastic content. 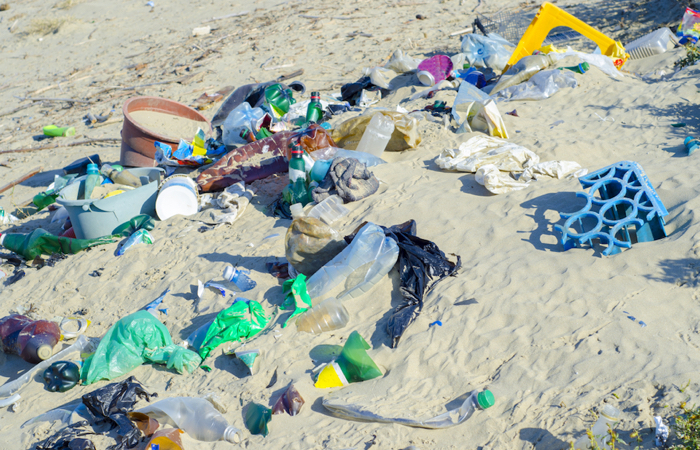 In January, Unilever CEO Paul Polman called on the consumer goods industry to address ocean plastic waste and employ circular economy models to increase plastic recycling rates. Adidas is also working to solve the problem of plastic pollution in oceans by turning this waste stream into new material for its shoes. But as environmental groups like Greenpeace and circular economy advocates like the Ellen MacArthur Foundation have shown in recent reports, more needs to be done. According to the Ellen MacArthur Foundation, one-third of the plastic packaging used globally ends up in oceans and other fragile ecosystems. An earlier study by the foundation found there could be more plastics than fish in the ocean by 2050.